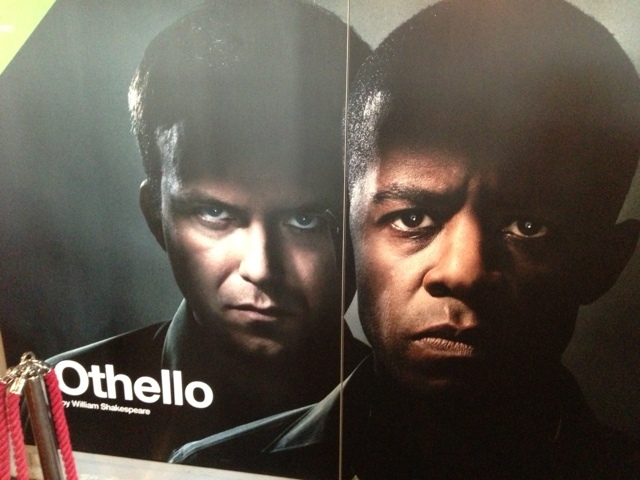 On Monday night Stu and I went to see Adrian Lester and Rory Kinnear in Nicholas Hytner's Othello at the Olivier Theatre on London's glitzy South Bank. It was a wonderful production beautifully played. Lester's Othello was outstanding - in turn passionate, then raging and finally remorseful. Kinnear's Iago was equally sublime if not better - visceral in his hate, blokey in his demeanour and caustic in his concealment. Strongly recommended. If you get the chance, go!